Liebster Award & what now??? 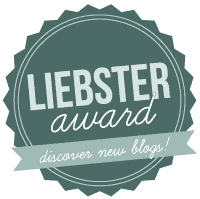 The Liebster Award is an honor that gets passed around by new bloggers to other up-and-coming blogs that have 200 or fewer followers, and have been blogging for 6 months or less. It’s a great way for all of us newbies to network and meet other bloggers in the same stage of hair pulling confusion as we are….. I would like to give a huge thank you to Krista at joyfulhealthyeats for nominating me for this award! Answer 11 questions the nominator has asked you. 1. I learned to scuba dive when we lived in Hawaii. 2. I am terrified of the ocean. 3. When I was younger, I wanted to be a race car driver. I have a need for speed! 4. I have a step sister that is also named Lisa, very confusing. 5. I am a Taurus. 6. My favorite colors are Black and Sapphire Blue. 7. I never grew out of my Heavy Metal stage, I still love loud music! 8. I have never made bread without a bread machine. 9. I hate Dalmatians (yes, the dogs), I was bitten in the face by one. 10. I was not allowed to take Home Ec. in school. My mom didn’t want me to grow up and be a housewife. Karma has a sense of humor. 11. My favorite season is fall. Someday I would love to go to Vermont just to see the pretty trees. 1. If you could have any superhero power, what would it be? I would like to be able to fly like Superman. The Heroin Diaries by Nikki Sixx – I never knew he was soooo funny. I just about fell off the couch I was laughing so hard! 3. 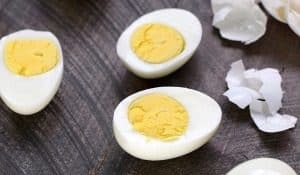 Favorite snack to eat during a movie? Popcorn with extra butter and a huge bottle of water to wash it down. 4. If you could star in a romantic comedy, which one would it be? How to Lose a Guy in 10 Days – I love that movie, and Matthew McConaughey …..
All of the spices in my spice cabinet are alphabetized. I have been told that is not normal. 6. I have the hardest time completing….. Anything that involves cleaning, I get easily distracted. 7. Coolest place you have traveled to? 9. If you could be in the Olympics, which event would you be in? High Dive – because I am terrified of it, and there is no chance that I will ever be going! 10. 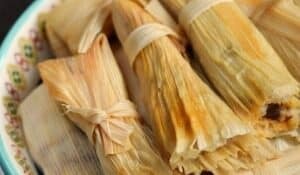 Strangest food you have ever eaten? Chocolate covered worm when I was 10. I tried my best to find blogs that had 200 or less followers and that had not been around for longer than 6 months, but let me tell you, that is harder than you think. 1. Do you prefer salty or sweet? 2. 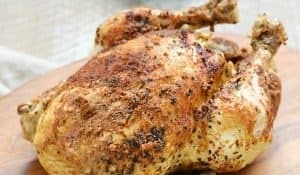 What recipe are you dying to try, but haven’t gotten around to yet? 3. What is your favorite season? Why? 4.What is your favorite thing about blogging so far? 7. What is your favorite cookbook? 8. Do you still keep in touch with your best friend from high school? 9. Are your spices alphabetized? 11. What are your blogging goals for the next six months? Hi, Lisa. Thank you so much for nominating me for this award! I was wondering, how on earth did you find 11+ food blogs meeting the criteria? Seems like that could take days! Thx! Hi Lisa, thanks again for your nomination! And yes, finding new blogs will definitely be a challenge but not an impossible one. Thanks Lisa for the nomination!